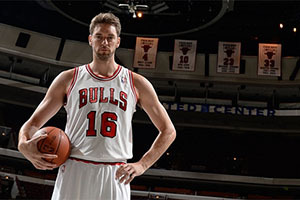 Home » Will Pau Gasol Be Running With The Bulls This Season In The NBA? Will Pau Gasol Be Running With The Bulls This Season In The NBA? One of the most stunning sights you can hope to see is the running of the bulls in Pamplona. This is a tourist attraction that welcomes people from all around the world. As the name suggests, people run through the narrow stress of the Spanish destination hoping to avoid the bulls that are unleashed at the back of the pack. It is a thrilling spectator sport, charged with the fact that people can die during this activity. Whether it is being trampled by the masses who are running in fear for their lives, or actually being caught by a bull, this is an activity that is exhilarating, but it is not for everyone. When it comes to the new NBA season, there are questions marks over whether a Spaniard will be doing a lot of running with the Bulls. This is all down to the fact that Pau Gasol hasn’t had too many chances to shine for the Chicago Bulls in pre-season. The player made the switch as a free agent signing from the Los Angeles Lakers and you would be correct in saying that the summer wasn’t the best one for Gasol. This has nothing to do with the move to Chicago but it has to be said that Spain absolutely tanked at the FIBA 2014 World Cup. At the very least, Spain were expected to take the silver medal in the tournament but a quarter final defeat to France meant that they never even had the chance to contend the Bronze in the 3rd and 4th Play-off match. That would have put anyone in a low mood and you wonder if Gasol is questioning whether he made the right decision in signing for the Bulls. 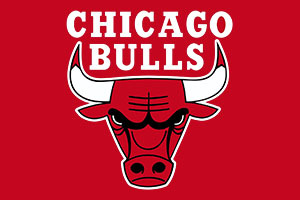 The player was involved for the Bulls in their 113-112 loss against Minneosta but here was only involved for just over 3 minutes in the 4th quarter. He was also absent from the final minutes of the game and this appears to be something that is already niggling away at Gasol. With the actual season not yet underway, it can’t be a good thing that Pau Gasol is already questioning whether this is the move that is right for his needs. That’s not a good sign when you’re put in that position because the coach doesn’t rely on you to deliver in those minutes. So, basically, he doesn’t trust you. He trusts someone else to do the job. So it’s not a good sign for you. Well, more or less he told us that he is going to try and get a feel for the game. We have three really good interior players that he feels comfortable can finish off games. He said he’s going to put the guys out there he feels more confident and comfortable to win that particular game. We have to trust his abilities and judgment and work hard to deserve to be out there. The final line may be the comment that takes the edge out of the whole situation because as long as Gasol works hard in training, he is likely to receive an opportunity, and when he does, he will need to be at his best to earn game time at the most important times.